Variguage carrier bags are manufactured using a polythene of varying thickness, hence the name. The standard material is usually 45mu (microns) at the base and around the gusset, which increases with the height of the bag so that the material thickness is 90mu (microns) around the handle area. The bag strength therefore comes from a single sheet of polythene and results in a strong handle. The bags are ideal for short runs and can be produced from quantities of 1,000 upwards in a variety of standard colours. Due to the varying gauge however, it is not possible to print these bags with a process print as the varying gauge would cause problems with the process. 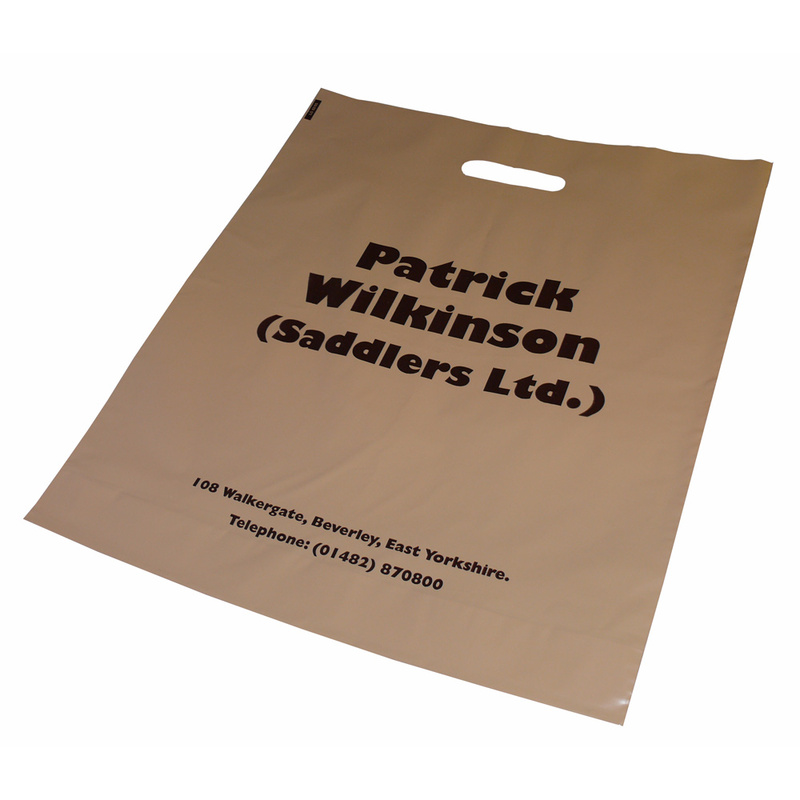 These bags can be produced from widths of 12" wide, up to 30" wide, and heights of 16" up to 24". Although greater minimums may apply to some sizes and colours. Generally all sizes can be produced on a white varigauge LDPE film. Beckdale design and supply printed varigauge carrier bags. The Companys office team love to help purchasers buy designer varigauge carrier bags. To order choose by material or similar , connect with Beckdale using your preferred method.